I was on the look out for a new talc free, mineral pressed powder last year (talc breaks me out in spots really badly with daily use) and was recommended the brand Green People from the lovely Ana from Ana Goes Green. Green People produce a range of natural and organic skincare, bodycare and makeup products, free from aggressive ingredients and synthetic chemicals and fragrances. 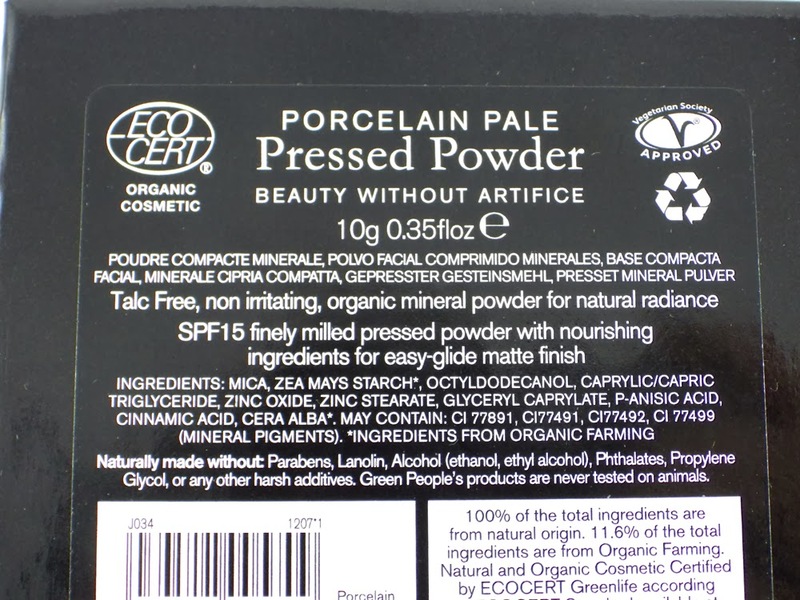 I bought their Pressed Powder SPF15 in Porcelain Pale from the website Naturismo for £20.95. This is one of the cheaper mineral powders out there in pressed form; I don't tend to use loose powder as I get it everywhere! 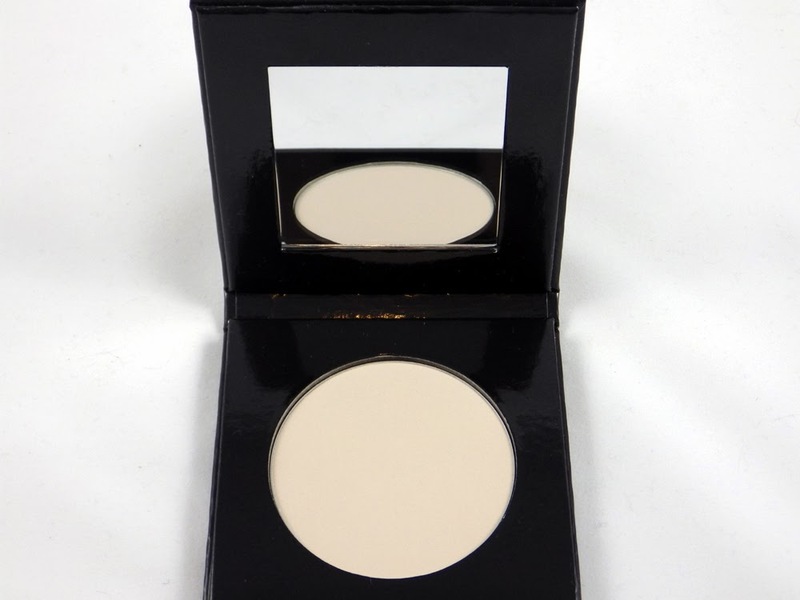 The Green People powder comes in a square compact, which I think is made from very thick cardboard, with a mirror in the lid and a inbuilt magnet to keep the compact closed in your handbag. I chose the lightest shade Porcelain Pale, which you can see is super light, however there are also four other shades to choose from. Although unfortunately their shades don't seem to cater for dark skintones. Green People say, "Green People Pressed Mineral Powder with SPF15 is a certified organic 3 in 1 foundation, powder and sunscreen SPF15, suitable for sensitive skin and those prone to acne, eczema, psoriasis or rosacea as it is talc-free and non irritating. 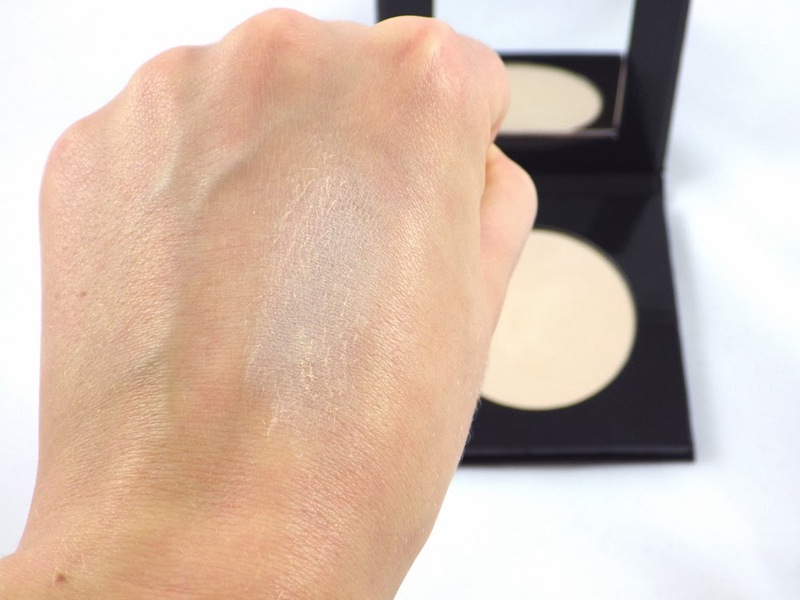 Made with Mica and Zinc Oxide, the Green People Face Powder achieves a natural complexion, matte finish with no tide mark. Minerals reflect light to minimise fine lines and wrinkles and they do not clog pores, allowing skin to breathe naturally". I personally wouldn't use this as a foundation as I prefer thicker, liquid formulations that provide more coverage. I like to use a powder to set my makeup underneath and to give my skin that matte, "finished" look, which this does a great job at. 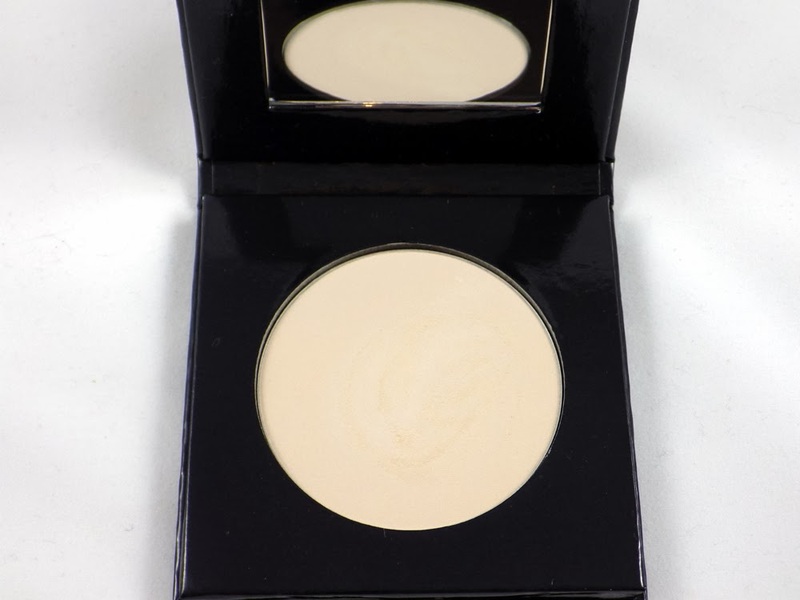 This powder is fairly fine, but can be built up quite easily by swirling your powder brush around the compact a few extra times. 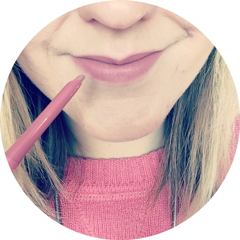 I was initially worried about Porcelain Pale being too light, but for this time of year when I have zero colour on my face, this shade seems to suit me really well. I love the fact that it contains SPF too, as I don't seem to think about applying a separate sunscreen in winter, although I know I really should. If you're looking for a talc free, pressed mineral powder and can find a shade to suit your skintone, then I definitely recommend giving the Green Pressed Powder SPF15 a try. What sort of powder do you use? Have you tried any products by Green People before?